Though it’s been reported that the hosts haven’t gotten along in years, the two’s relationship has become a big topic of conversation after Strahan announced he will be leaving their show to co-host Good Morning America. Ripa wasn’t informed of his departure from ABC execs until it was public- angering the host and leading her to stay home from the show for several very, very tense days. Ripa returned to the show to address the tension and is patiently waiting for her new co-host to be announced. Alas, Strahan will continue to move onto arguably bigger and better things with Good Morning America. 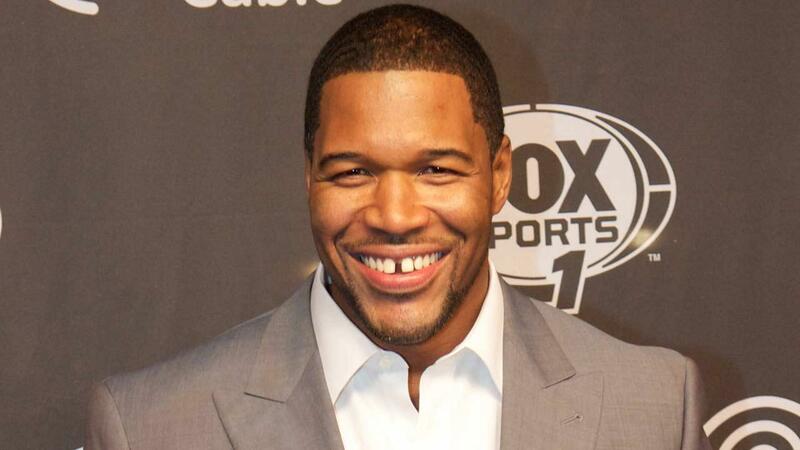 Here are the best quotes from morning show king Michael Strahan . The second I feel like I don’t have the time to give something my all, I’ll have to rethink this busy life! You doubt yourself more than anybody else ever will. If you can get past that, you can be successful. It is something like basically getting stabbed in the heart. These are the type of games you look back on at the end of the season and just hope they don’t hurt you. Every time I step on the field, every play, I look at it as it could be my last. The realization of that definitely has me feeling that I’d better take advantage of every snap that I can. I think this can be a championship team. But we do have to take it one game at a time. You can’t look at the end of the road before you get the next foot in. Everybody’s professional. Nobody’s an idiot. Nobody’s a jerk. We all know each other. So it’s not like we see each other in the city and we run over and bust the window out of their car with a baseball bat or nothing. We’re all friends. Is it possible to respect someone and hate their guts … It is Then, we’ve accepted it.